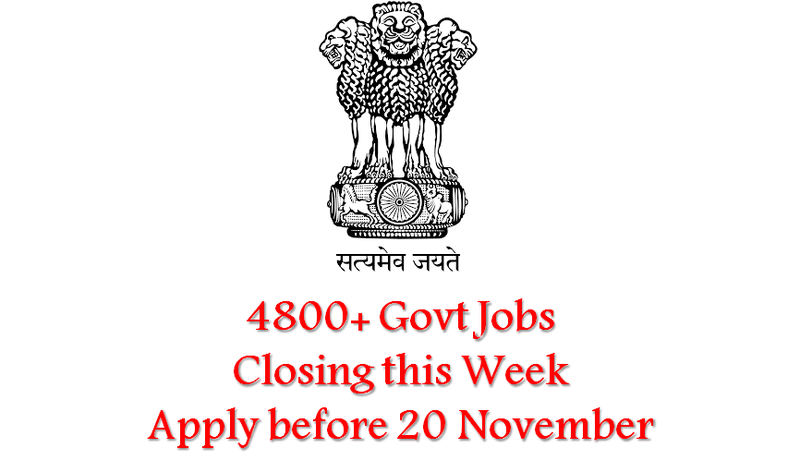 By 20 November 2016, intake of online application will shut down for more than 4800 vacancies in various govt sectors. With so many vacancies still open for recruitment, govt job aspirants must apply as soon as possible. Highest number of vacancies is open under Punjab govt. 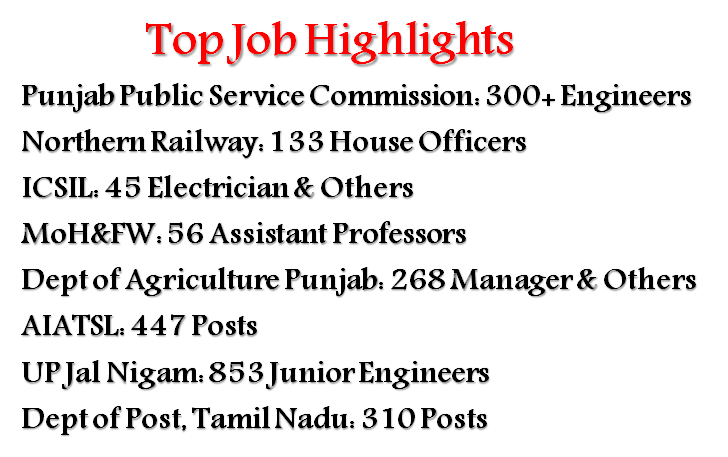 While 300+ vacancies are open in Punjab PSC, 268 vacancies are available at Department of Agriculture. Bigger opportunity is available for Ex-servicemen as AIATSL has called for applications against 447 vacancies. Likewise Engineering graduates should submit their application at UP Jal Nigam against 853 Junior Engineer posts. Leading PSUs like BEL, IOCL and PGCIL are also on the verge of closing down the online application submission portal.